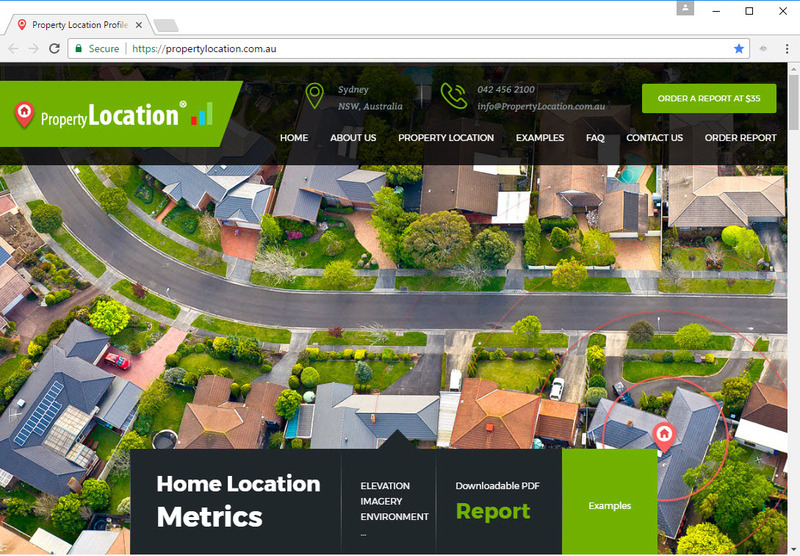 BigData Earth is pleased to release https://www.PropertyLocation.com.au/, a new web portal where consumers and professionals can quickly request property (exposure) location profile reports for Australian addresses and sites. 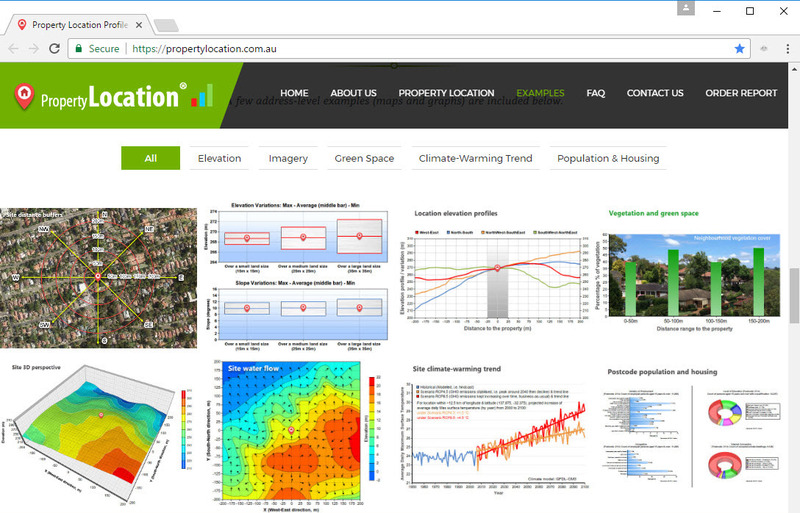 Main features include a wide range of address-level and location-specific environmental metrics – elevation, slope, surface water flow directions, bushland, neighbourhood green space, climate-warming trend, demographics and housing, etc. After integrating many authoritative and high-quality data sources from government agencies and the scientific community, we perform Geospatial Big Data Analytics and advanced image processing to generate address-level reports with actionable location insights and intelligence. 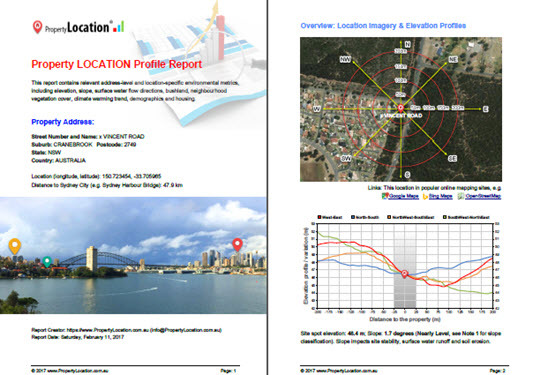 The report goes beyond beautiful geospatial pictures or imagery by turning pixels into unique geospatial metrics – all on the cloud! Enhanced features related to specific domain knowledge (e.g. public property sales record, bushfire and flood risk) are being developed. Two full sample reports (15+ pages) are available at the above website. For batch processing, enhanced features, system integration, branding, turnkey solutions, etc. please contact us. We are also developing a similar portal (https://www.PropertyLocation360.com/, under beta testing) for the U.S. and worldwide property (exposure) addresses / locations. If you are interested in an early access to enhanced features, please let us know.